From their cuneiform manuscripts, literature, amulets, spirituality and connection to the Gods, irrigation, music and musical instruments, fashions, flora and fauna, a very educational and insightful experience. Their very intricate jewels set the basis for the Etruscan and Hittite eras that followed in the Mediterranean. 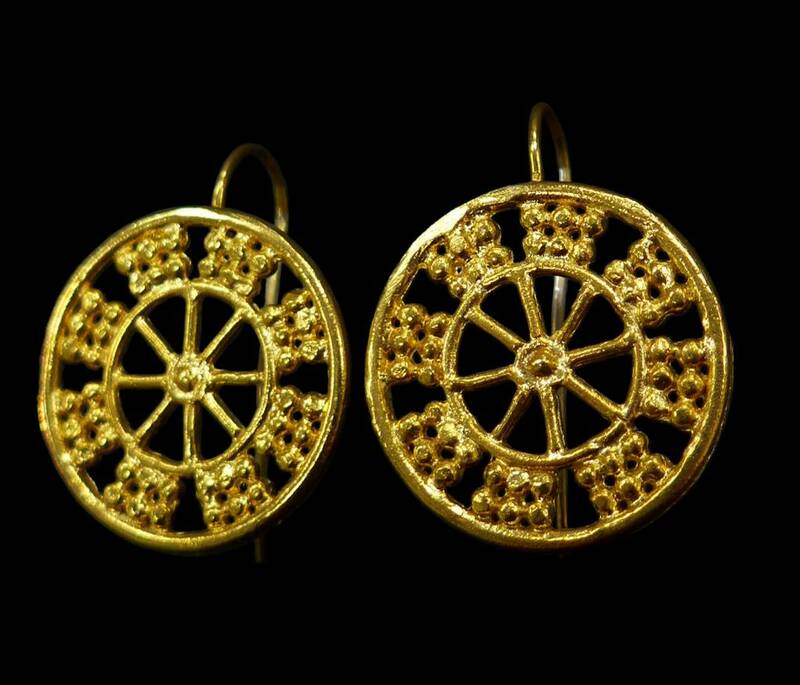 I am delighted to have had input in this by designing the Wheel of Fortune collection which is now available online, and having my jewels exhibited for sale at the Grenville Room at the British Museum.